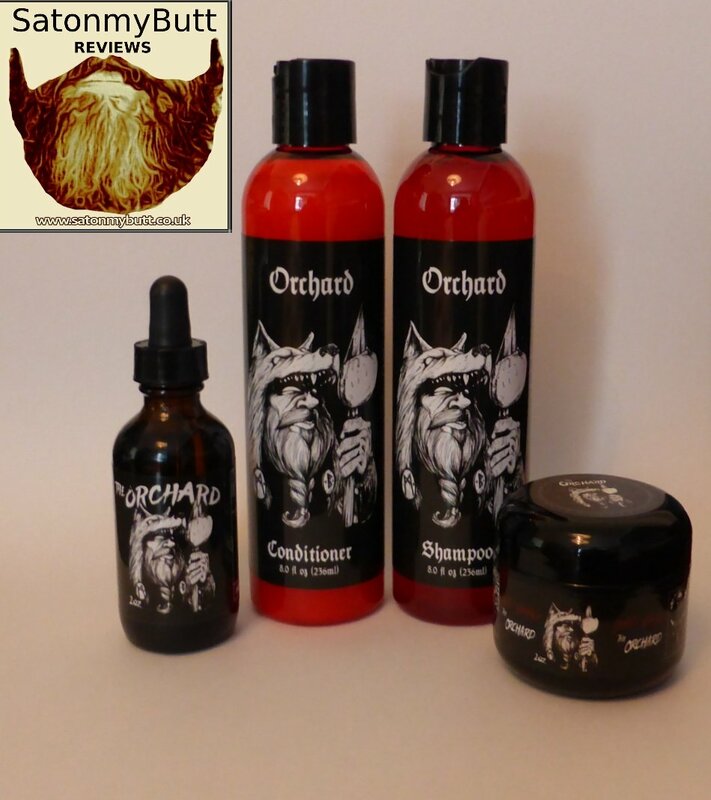 I have been using Mad Viking Beard Shampoo & Conditioner, the scent that I received was Orchard, a refreshing Red apple and Vanilla scent. The shampoo comes in an 8 fl oz (236ml) bottle with a click open lid to dispense the shampoo, the shampoo has a very thin gel like look and produces a decent lather when applied to your beard. The Apple and Vanilla scent is very gentle but smells very nice, my beard was left feeling clean. The shampoo is made from products that clean thoroughly without stripping your beard hair of it’s natural oils. Its also PH balanced for maximum effectiveness and safe for everyday use on your head as well as your beard. The shampoo and conditioner is also sulfate and paraben free. The Mad Viking Beard Conditioner has the same consistency as the shampoo but is white, after using the conditioner on beard, my beard hair felt softer, again it has that Apple and Vanilla aroma but slightly stronger. I used the shampoo and conditioner on my head as well, granted I have a grade one clipped haircut but it’s still important to shampoo and condition. Mad Viking Beard Shampoo and Conditioner is especially handy if you need to wash your beard every day, normally its advised to only wash your beard with a soap or shampoo twice a week but obviously some guys need to wash daily because of work or play and Mad Viking Beard Shampoo and Conditioner is so gentle that it wouldn’t be detrimental to your beard.